The Epson SureColor-SC-P6000 is a photo printer and proofer that produces top-quality images up to A1 size. Due to the bulk of the printer, it can be awkward to place and will best suit a medium-sized business that needs to produce professional photos and fine art prints, where the accurate, vivid colours and deep-toned blacks will give impressive results. The large storage capacity of the Epson SureColor P6000 allows for a large volume of printing jobs to be carried out without workplace disruption. However, as the connection is network or USB only, it is not possible to print directly from smart devices. At 801mm x 645mm x 1,516mm, the Epson SureColor P6000 is a large machine. 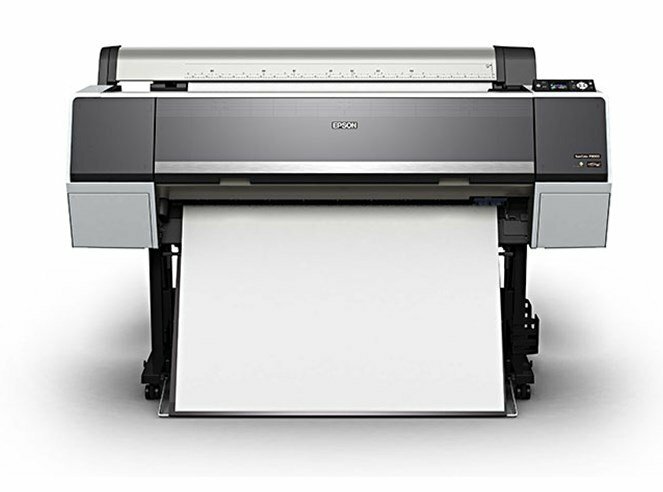 The Epson SC P6000 comes in a grey colour. A control panel, including a 6.8cm LCD screen, is used to navigate the printer. Printer resolution is 2880 x 1440 dpi. The printing head has 360 colour nozzles and 360 black to deliver eight inks – photo black, light black, matte black, cyan, light cyan, vivid magenta, vivid light magenta and yellow. Connectivity is achieved via a network or USB. The eight ink colours of the Epson SureColor SC P6000 will deliver 93% of the Pantone®-certified colour spectrum, resulting in prints of an excellent quality. The innovative delivery system results in accurate and vivid colours, while the advanced black and white mode produces high-density black tones. The large hard drive can store printing jobs, freeing up computer space, and there is a choice of cartridge size, giving longer periods between replacements, improving workplace efficiency. The prints have a superior lightfastness, allowing images to continue to look good for at least 60 years. The size of the Epson SureColor SC P6000 may make it hard to place in small premises, and the weight means that two people are needed to set it up. As there is no wireless connection, printing directly from smart devices is not possible.